The following images represent some of the events that have taken place around the Diocese in the last year. 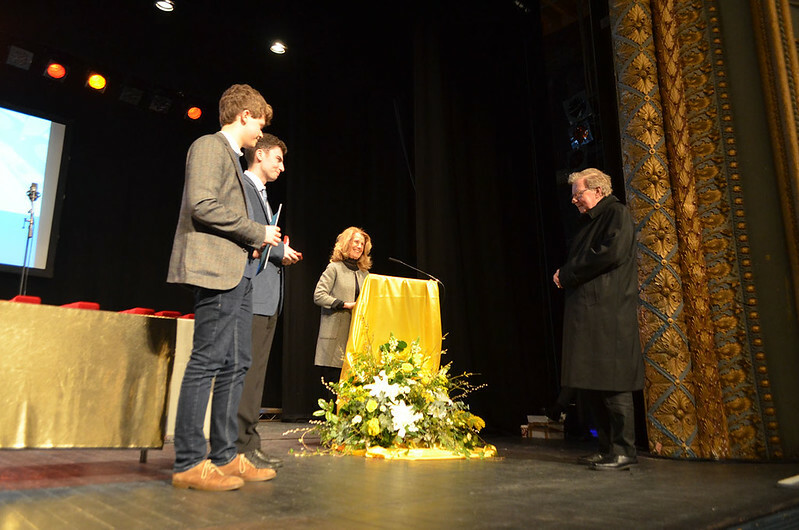 On Thursday 14 March, the Tyne Theatre and Opera House came alive with an audience of over 500 celebrating the youth of our Diocese. Central to the third annual Pope John Paul II awards presentation ceremony were the 128 young people receiving awards, including 2 young people, Lewis Hall and Liam Waugh, who received Papal Cross awards for continuing their work in their parish and local community beyond the age of 18. Images reproduced with the kind permission of Xavier Javier and YMT. Music for the evening was provided by the excellent choir from St. Anthony’s Catholic Academy led by music teacher Laura Dudley. Bishop Séamus and Deborah Fox (Head of the Department for Education) presented the awards and both gave inspiring and affirming addresses to the young people and their relatives and friends. The awards are coordinated by the Youth Ministry Team and supported throughout the year by a small army of Award Leaders in our secondary schools and parishes. The Award Leaders and Church Coordinators, many of whom were present on the evening, provide opportunities for those working towards the award and give constant encouragement and guidance. They are essential for the success of the awards. At the end of the evening, the award committee presented Bishop Séamus with his own Papal Cross award for his unfailing support for the award scheme over the four years it has been going. Next year’s award ceremony will also be in the Tyne Theatre and Opera House on Thursday 27 February 2020. Article courtesy of Tony Joy. 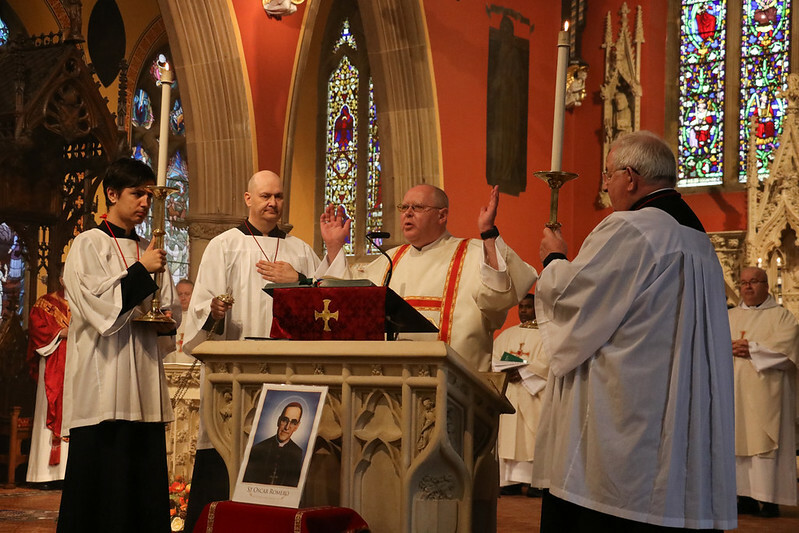 On Saturday 13 October, Bishop Séamus celebrated Mass at the Cathedral in Thanksgiving for the Canonisation of the Blessed Oscar Romero. Assassinated while celebrating Mass in El Salvador on 24 March 1980, Archbishop Oscar Romero was known as a defender of the poor and campaigner for peace. Pope Francis led a ceremony to elevate Romero, and six others including Pope Paul VI, to sainthood in Saint Peter's Square on Sunday. The pope wore the blood-stained rope belt worn by Archbishop Romero when he was murdered and used the chalice and pastoral staff of Pope Paul VI. 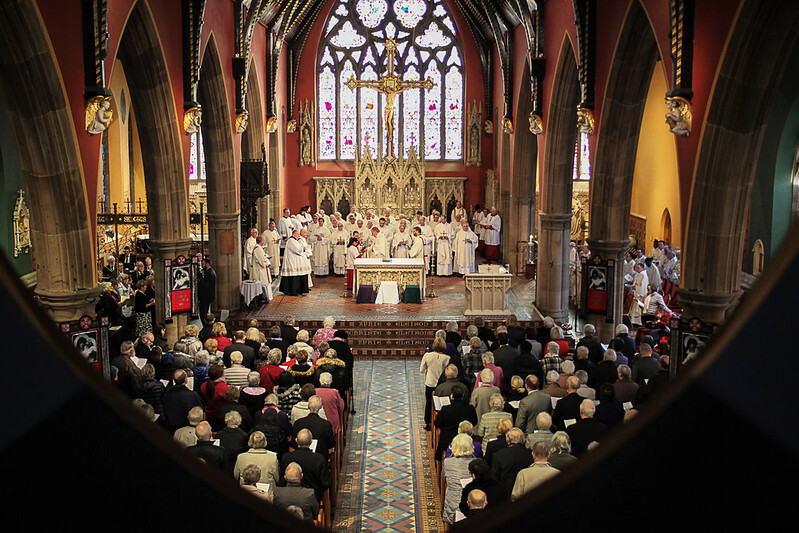 On Holy Thursday morning, Bishop Séamus, joined by the priests of the Diocese, gathered at the Cathedral to celebrate the Chrism Mass. This Mass manifests the unity of the priests with their Bishop. At the Chrism Mass the Bishop blesses three oils - the oil of Catechumens, the oil of the Infirm and Holy Chrism - which will be used in the administration of the sacraments throughout the Diocese for the year. Images reproduced with the kind permission of Mike March.